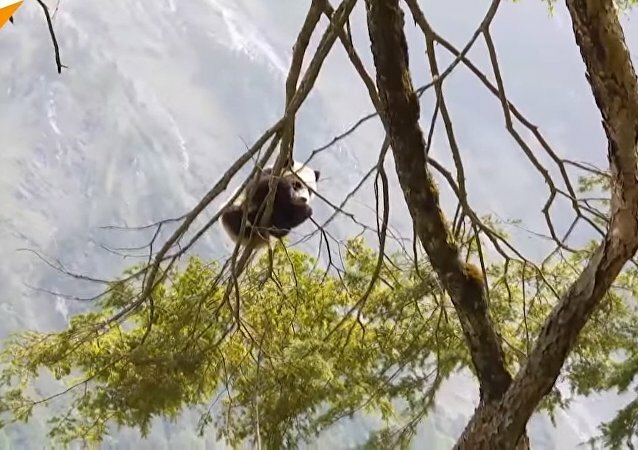 In this video, a crow tore out bits of fur from a panda until it filled its beak and then took off to the nearest tree, where the bird probably nestled. 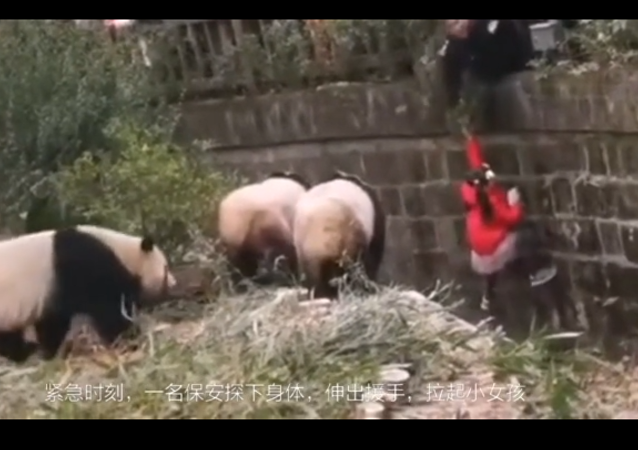 In this video, two pandas can be seen trying to simultaneously climb the same tree. At first, the pair are jostling, pushing one another off the tree. Sometimes all you need is to know how to relax and enjoy your life – something we can learn by watching pandas. 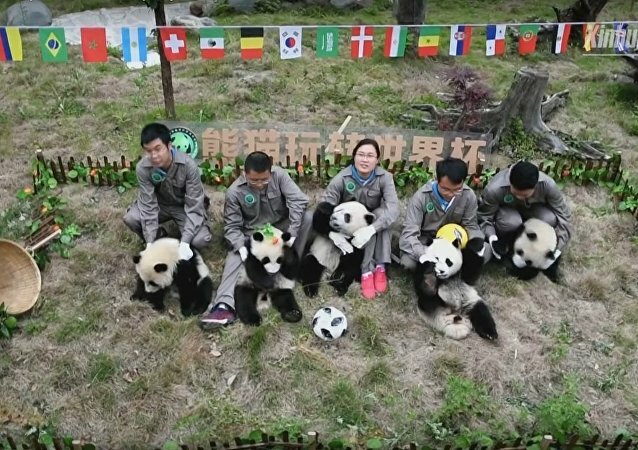 Southwest China's Sichuan Province will host the "Panda World Cup 2018" from June 14 to July 15 to celebrate the FIFA World Cup that opened in Russia on Thursday. 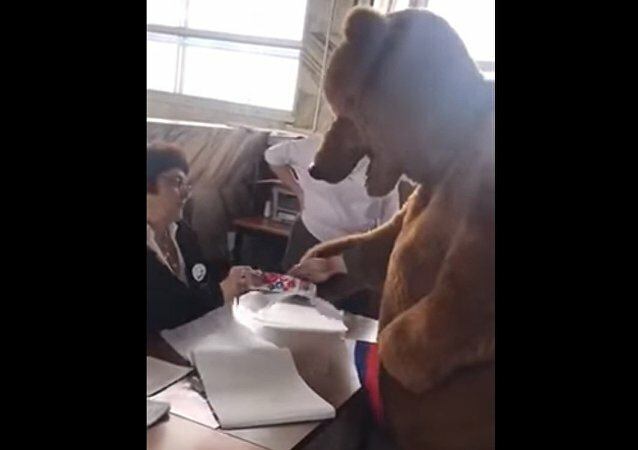 The 2018 World Cup in Russia has inspired a lot of fans around the world to support their teams, start a new one, or, at least, throw a great football party in order to have a good time. But it's not only people that are in on the action - pandas are too! Contrary to popular belief, pandas are very agile and nimble animals which are just used to remaining calm and peaceful during certain periods. A group of three animals was recently caught on camera ‘brutally’ battling a snowman in Toronto Zoo. During her time in office as Britain's first female prime minister, Margaret Thatcher was never known to pander to the UK press corps especially if it meant missing out on a photo opportunity to pose alongside a giant panda. A giant, female panda cub called Xiang Xiang has just made its first official public appearance at Ueno Zoo in Tokyo, where crowds of fans gathered to see the six-month-old animal. 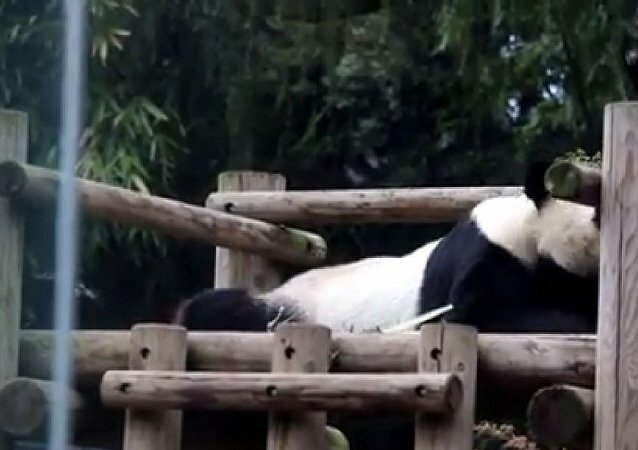 The young panda is so popular that the zoo had to set up a lottery to select guests from a quarter million applicants. France’s First Lady Brigitte Macron attended an official “baptism” ceremony on Monday, where she was joined by the Chinese officials to name a panda cub at a French zoo, as quoted by Le Parisien. Giant pandas, a symbol of China, are considered to be endangered, with only a little more than 2,000 animals living in the wild. Watch two pandas bred in captivity enjoying the taste of freedom as they are being released back into the wild in southwest China. 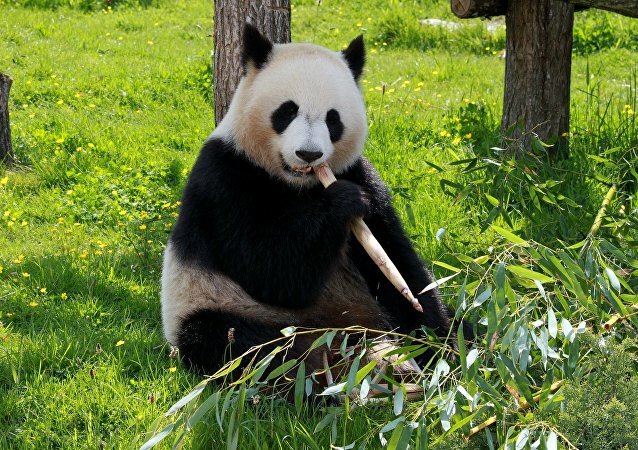 Denmark has received the honor of borrowing Chinese giant pandas as a token of Beijing's favor. Denmark's Prime Minister Lars Løkke Rasmussen has ceremoniously broken ground on the new home for the fluffy ambassadors from China to arrive next year. China transferred two giant pandas to Indonesia in hopes that the so-called panda diplomacy will help improve interstate relations that are going through a difficult period because of disagreements over the South China Sea. 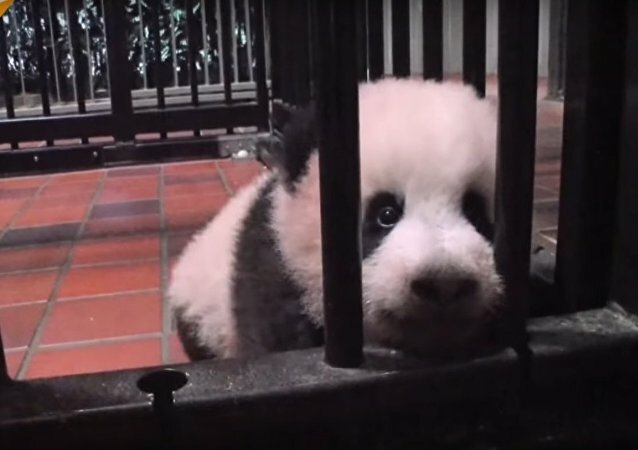 This lovely panda cub was born to mother Shin Shin and father Ri Ri at Tokyo’s Ueno Zoo in June, and in accordance with Chinese tradition, has been given a name only 100 days after its birth. The female giant panda has been named Xiang Xiang, which can mean either “fragrance” or “popular” in Chinese. 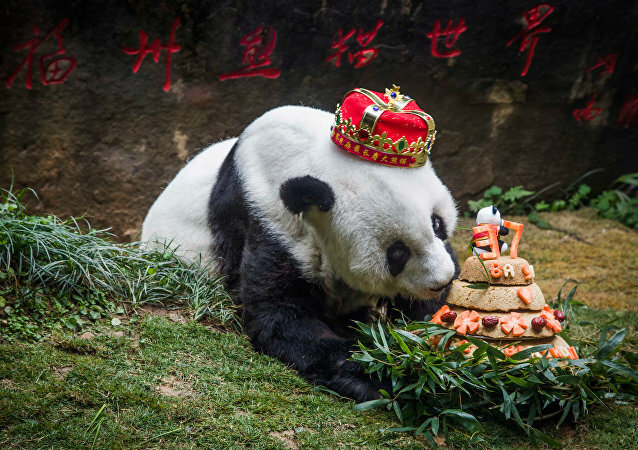 The world's oldest giant panda named Basi that lived in a zoo in southeastern China has died at age 37 which is more than 100 in human years, the animal's handlers announced Thursday.